Welcome to the June 27, 2018 edition of ACM TechNews, providing timely information for IT professionals three times a week. Physicists at the University of Melbourne in Australia have achieved a new world record in the simulation of quantum power on a classical computer. "The capability to simulate quantum algorithms at this level is important to learning how a quantum computer will physically operate, how the software can work, and what sort of problems it can solve," says Melbourne's Lloyd Hollenberg. His team sought to bypass the need for a "planetary scale" memory on a classical system by assigning the simulation a specific mathematical problem to solve; this obviated the need for modeling the complete quantum state in order to simulate larger-scale quantum computing in action. The team tasked the model to identify the two prime numbers that, when multiplied, equal the semi-prime 961,307. 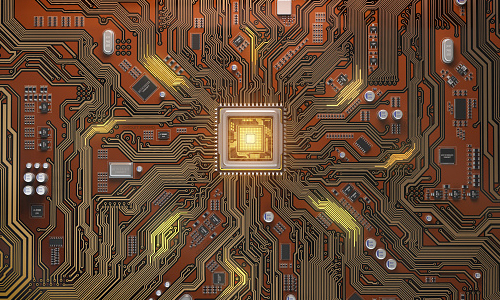 They successfully modeled the output of a 60-quantum-bit (qubit) machine, for which representing the entire quantum space of numbers would have demanded approximately 18,000 petabytes of classical computer memory. Massachusetts Institute of Technology (MIT) engineers have developed small three-dimensionally (3D)-printed structures whose movements can be controlled with external magnetic fields. Among the structures are a smooth ring that wrinkles, a long tube that squeezes itself shut, a sheet that folds itself, and a spider-like object that can crawl, roll, and jump. The structures are made from a new type of 3D-printable ink infused with magnetic particles. The team fitted an electromagnet around the nozzle of a 3D printer to make the magnetic particles align themselves in a single orientation as the ink exited the nozzle. Controlling the magnetic orientation of specific sections enables the creation of items that can transform into intricate formations, and move. The devices have potential for biomedical applications as they can be inserted into a human body and controlled externally without invasive surgery. Using this technology, "People can design their own structures and domain patterns," says MIT's Xuanhe Zhao. "By programming complex information … one can even print intelligent machines such as robots." The United Nations Environmental Program (UN Environment) and its partners are driving development and testing of an environmental module for the Minecraft computer game to simulate the construction of sustainable cities. 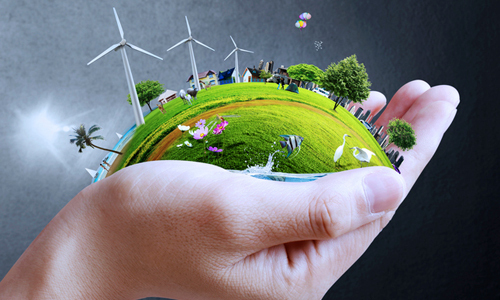 The Ecocraft module enables the upload of real-world information so users can evaluate taking action on their town's energy, waste management, or transportation needs. These actions' costs and benefits are displayed on a scoreboard for use in actual urban planning. UN Environment's agreement with the Dutch EduGIS Foundation will permit the use of geospatial data tools in the game to map territory around the world and model environmental problems that play into realizing Sustainable Development Goals. "This game can tap [children's] creativity to design future living spaces in harmony with the environment," says UN Environment's Jan Dusik. "The next generation of urban planners will see how much our lives depend on this balance." Frank Heart, who supervised development of the first routing computer for the U.S. federal government's Advanced Research Projects Agency Network (Arpanet), the precursor to the Internet, has passed away at the age of 89. In 1969, Heart's team constructed the Interface Message Processor (IMP), a system for switching data among the computers on Arpanet. Many of the precepts Heart's work stressed, including reliability, error resistance, and self-correction, are core to the current Internet's resiliency. Incorporated into the IMP's design was a method for detecting and correcting errors as they occurred, which laid the groundwork for the field of remote computer diagnostics. Heart's team rigged the IMPs for unattended operation, including the ability to restart on their own after an outage or crash. "The first IMP was delivered on time and on budget, and when it was plugged in, not only did it start working, but it hardly needed debugging," says former team member Alex McKenzie. The city of Austin, TX, is piloting a project that uses blockchain technology to help homeless people access assistive services. The MyPass service houses key documents on the blockchain, preventing their loss or theft with encryption, so the homeless can access them via cellphone, computer, or text message and share them with healthcare workers and government agencies. 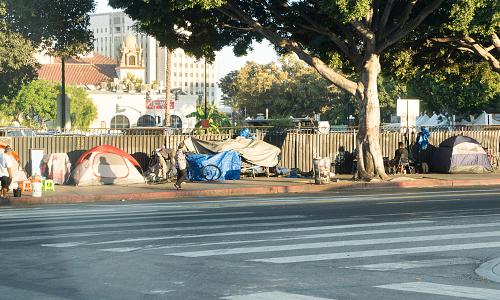 "The goal is to empower [the homeless] with that information and allow them to have ownership and autonomy of [their data] and use it to garner services," notes city official Sly Majid. MyPass' organizers imagine having a homeless person seeking service at a health clinic signing in with a password or other login tool, using a computer or cellphone at the clinic; they could then display an ID or document on MyPass to authenticate their identity. Users also could show the clinic an important document, transmit the document in advance, or let the service provider access it with MyPass. Cornell University recently held this year’s SOftware defined Network InterfaCe (SoNIC) workshop, in which university computer science faculty taught students from across the U.S. 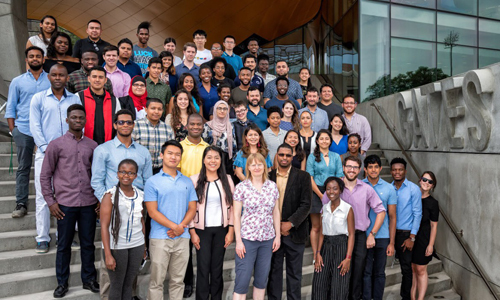 Since 2011, the workshop has hosted up to 25 undergraduates each June in an effort to "address the number of underrepresented minorities pursuing and obtaining a Ph.D in computer science," says Cornell's Hakim Weatherspoon. The workshop exposes students to research possibilities, encouraging them to pursue graduate degrees and careers in computer science. The workshop is open to undergraduates in computer science, electrical and computer engineering, physics, or math. During the workshop, participants learn about cloud computing, including conducting cloud and network research, with a Cornell faculty mentor. "We need diverse faculty in [science, technology, engineering, and math], especially women and underrepresented minorities," says North Carolina A&T State University's Tonya L. Smith-Jackson. "There is a real national crisis and programs like SoNIC are making a difference for Cornell and the nation." Researchers from the universities of Hamburg and Münster in Germany, along with colleagues from the University of Central Florida, have addressed the virtual reality (VR) problem of providing users with a realistic perception of infinite space and natural walking capabilities. Focusing on eye blinks, the team has created a computational system that redirects the user in the virtual environment during natural instances of "change blindness," with undetectable camera movements. Previous redirected walking techniques apply rotations continuously, but the number of unnoticeable rotations is limited, notes the University of Hamburg's Eike Langbehn, saying the team introduced additional rotations when the user is not focused on visuals. The researchers devised an approach to synchronize a computer graphics rendering system with this visual process, adding useful motion changes in virtual scenes to improve the VR experience. The team will present its work in August at ACM SIGGRAPH 2018 in Vancouver, British Columbia. An international team led by researchers at the University of Cambridge in the U.K. and King Abdullah University of Science and Technology in Saudi Arabia has developed a low-cost sensor made from semiconducting plastic that can diagnose or monitor a wide range of health conditions. The sensor can measure the amount of critical metabolites, such as lactate or glucose, present in bodily fluids; when incorporated into a diagnostic device, the sensor allows health conditions to be monitored quickly, inexpensively, and accurately. The new device has a simpler design than conventional sensors, and could open up a range of new applications for health monitoring at the cellular level. The researchers built the sensor using a newly synthesized polymer that acts as a molecular wire. When the material comes into contact with a bodily fluid, it absorbs ions and becomes merged with the liquid, leading to significantly higher sensitivity compared to traditional sensors made of metal electrodes. In an interview, Baldwin Wallace University's Jodi Tims, chair of ACM's Council on Women in Computing (ACM-W), discusses how an academic career in computer science offers exceptional rewards. "The number-one [reward] is the students," she says. "Not only do they keep me young (or at least I want to believe they do), but watching them develop and succeed after graduation provides that intrinsic reward that comes with having the opportunity to make a small difference in someone's life." Tims acknowledges the modern world sometimes devalues an academic career in computing, but she contends "if an individual has a passion for helping others develop their potential, then an academic career is worth considering." Researchers at the University of Bristol in the U.K. have discovered that a person's mode of thinking changes at different times of the day and follows a 24-hour pattern. The team studied human thinking behavior by analyzing 7 billion words used in 800 million Tweets. 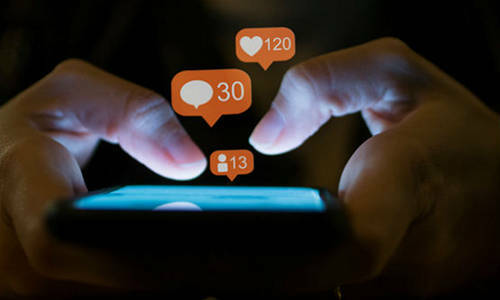 Using artificial intelligence (AI), the team analyzed aggregated and anonymized U.K. Twitter content sampled every hour over the course of four years across 54 of the U.K.'s largest cities to gauge whether thinking modes change collectively. Tracking the use of specific words associated with 73 psychometric indicators, the team identified language variations that show different emotional and cognitive modalities in human thoughts. The researchers found analytical thinking peaks in the morning, giving way to a more emotional and existential style in the evening and night. These changes coincide with major changes in neural activity and hormonal levels, suggesting a possible link to circadian rhythms.